Dress up as a dock master, play in a pint-sized port, explore first- and third-class travel in Victorian times and fall in love with the sounds of the 1960s... it's all waiting for you (and it's free!) at the Museum of Liverpool. Our parent review highlights the child-friendly activities on offer. Opened in 2011, the Museum of Liverpool is the newest large museum in the country. Vikki Chapman visited as a family group with her mum, two of her brothers, a sister-in-law, her children Lukas, 8, Evie, 3, and Rory, 5 and Adam, 6, and Izzy, 2. Prepare for a busy day out! 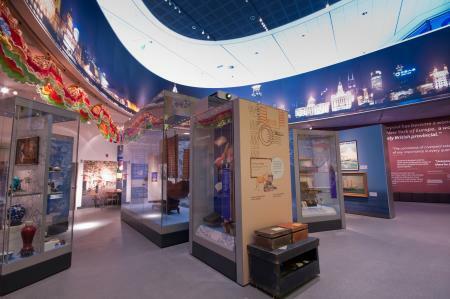 At the Museum of Liverpool visitors can explore how the port, its people, their creative and sporting history have shaped the city. The building is purpose-built and based right on the famous Liverpool waterfront. It is powered using state-of-the-art renewable and energy-efficient technologies. There are a large selection of galleries covering lots of topics, ranging from the history of the city, cultural links, the overhead railway, football, the Beatles, and the port of Liverpool. There are plenty of hands-on activities and specific areas for children. 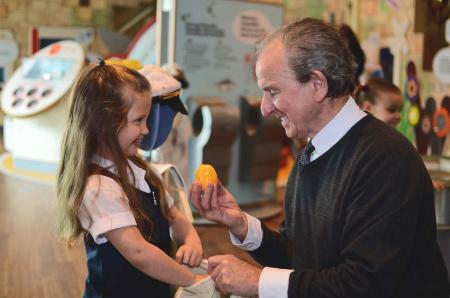 Little Liverpool is a big hit with smaller children (entry is by free ticket collected from the Welcome desk). There are specific sessions timed throughout the day and it gets filled up quickly so collect your tickets when you arrive. It is aimed at those under 6 (although they let our 8 year old in) and is a hands-on session where they can play and learn. There are water tables complete with docks and underground tunnels where you can see the trains and cars going underneath. The girls enjoyed dressing up with overalls and hats as sailors and dock masters and pushing the boats around in the water. Winnie the spider is the character who points out areas and objects that will be of interest to children. 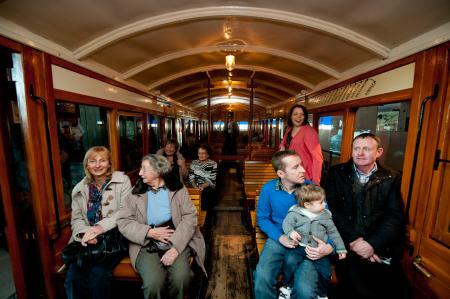 The Liverpool Overhead Railway section has an actual tram carriage that the children can climb into and sit down in. They can also dress up in clothes from the time and see at the differences between the train-carriage classes (first and third). The boys enjoyed ‘Liverpuddles’ in the Little Liverpool section, another water-based activity where they had to scoop objects with nets and decide which were fish (and could go in the slots back into the ‘river’) and which were rubbish. Protective overalls are provided – but the boys still got a bit wet! In the Global City section we looked at the cultural mix of people coming to Liverpool as a port city. We have Chinese links in our extended family and so we talked about this. We created some rubbings of different symbols such as cranes and dragons. We also looked at the information about trade unions and strikes and talked about how the people of Liverpool campaigned for the rights of those across the UK. History Detectives is very good and shows local history right from the Bronze Age to WWII. The children enjoyed trying on the different types of helmets and we got some good photos! There are a good selection of artifacts from the Manchester dock excavation and other local sites. The 1960’s section goes through more recent history and you canfind out about about music and the arts at this time. Also on show is a Ford Anglia car, made at Halewood, and other contributions the people of Liverpool have made to the world. There is a free activity called ‘When I was little’ aimed at children aged three to seven and grandparents (or older friends or relatives) to do together. You can collect a backpack from the welcome desk to help explore the museum and share memories. It aims to encourage children to ask relatives about their childhoods. You get an album to write and draw in and is free to take home as a keepsake. There are a number of trails available including the Liver Bird trail, the Black Community trail, Jewish Community trail, and Irish Community trail (all downloadable from the website, or pick up a copy at the Welcome desk). There are a lot of events and activities aimed at families – see the website for the ‘what’s on’ guide. There is a café on site that has views over the waterfront and an outdoor eating area. It offers a range of snacks, hot and cold drinks, and hot food. For children they have a lunch box (sandwich, fruit, juice drink), £3.50 or hot meal, £4. There is also an indoor ‘picnic area’ next door to the café and you can take drinks through from the café. If the weather is nice, there are plenty of open spaces along the waterfront to have a picnic. The Mersey ferry is right next door to the museum. You can get the ferry from the Wirral (from Seacombe or Woodside). James Street train station is the nearest station and only a few minutes’ walk away, although this is on the Wirral line. For visitors on the main line Liverpool Lime Street is about a 15 minute walk away. However you can go on the underground from Lime Street to James Street station in a few minutes. For visitors coming in on the Northern line Moorfields is nearest – about a 10-minute walk. The nearest bus station is Paradise Street near to Liverpool One, although some buses will drop off at the Pier Head. For cars, there is plenty of parking in Liverpool One complex and electronic display boards around the city advising of capacity and directions. Follow signposts from motorway to the Albert Dock. There are a number of Liverpool-themed gifts and also prints and cards based on the exhibitions. For the children we purchased a knitted Superlambanana (£2.50), a replica car (£3), and a pack of Beatles memorabilia £6.95 (for my nephew's school project on a music group). Find out more about the museum's work in archeology and social and community history and read about some of the most significant paintings exhibited in the collections and research section of the Liverpool Museum website. 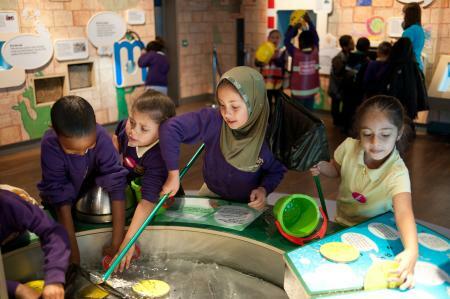 The museum is packed with exhibits that are relevant to the KS1 and KS2 curriculum. Brilliant for a self-guided tour are the downloadable teachers' notes for primary school – look through the information before you go and print out relevant pages to take with you. You can also download and follow a Toys Trail (KS1), a Transport Trail (KS1) and a Victorians Trail (KS2), as well as prehistory and World War trails.